The Government of India proposed an Indian Institute of Technology in Goa in May 2016. 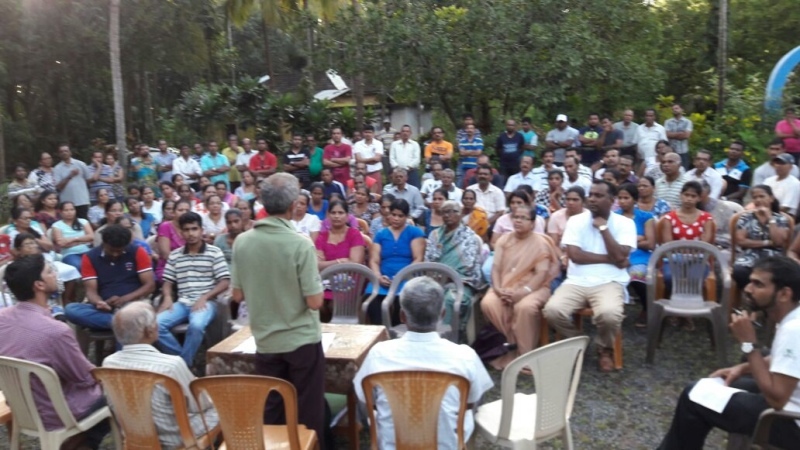 While classes for the 2016-17 session began from a temporary campus, a 300-acre permanent campus was proposed at Loliem village in Loliem-Pollem panchayat, South Goa district, Goa. A committee formed by the Ministry of Human Resource Development had selected the site. The residents of Loliem are opposing the campus. 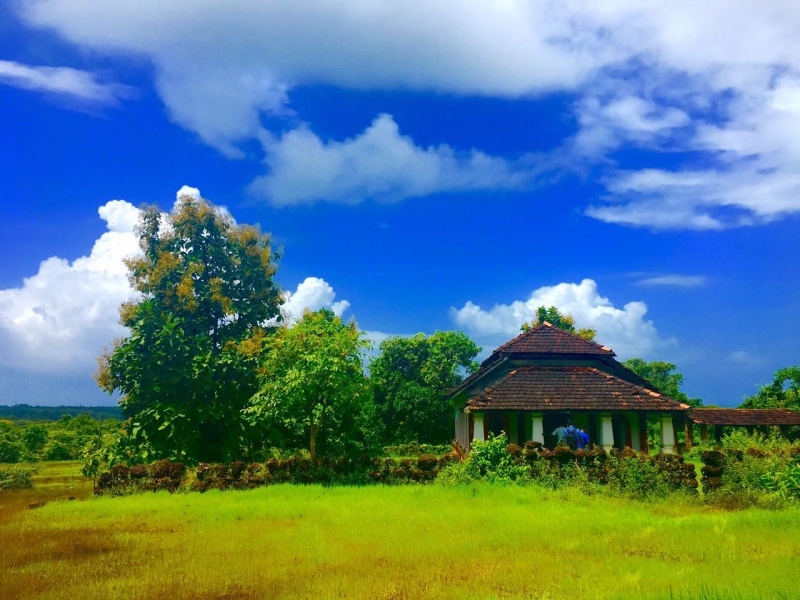 The site falls on an uninhabited laterite plateau known as the Bhagwati Moll plateau, which is partly covered by a forest, while the rest is used for monsoon cultivation, cashew plantations, grazing and as an important sacred site. The settlements of Loliem are on the slopes of the plateau. The porous laterite of the plateau absorbs rainwater, letting it out in springs, and recharging aquifers. Under a banner of Citizens Committee of Loliem, residents have opposed the IIT saying it threatens their water and livelihood security, and their cultural rights. The plateau has a temple that is in use and every alternate year 3,000 people go on a procession along an ancient route to appease the local Betal god according to villagers. They want to preserve the forested parts of the plateau, which are contiguous with Cotigao Wildlife Sanctuary and Anshi Tiger Reserve (which falls in Karnataka state). They report the occurrence of Leopards, Bisons, Pangolins, which are accorded highest protection under Indian wildlife law, besides floral biodiversity. Both the Madhav Gadgil- and K Kasturirangan-led Committees had recommended the plateau to be notified as an eco-sensitive zone in the Western Ghats landscape. The land falls under Comunidade of Loliem - a system dating back to the Portuguese where a committee of native inhabitants of the village collectively own land and decide its use, sharing any revenue generated. The Comunidade gave its consent for setting up the IIT in February 2016. In the same month, the Government of Goa moved an amendment to the Goa Legislative Diploma No. 2070, which consists of rules of Comunidades, to enable the government to get possession of the land. But the residents of the village are opposing the project and have sent letters to the HRD ministry and the state government asking to change the site of IIT. In October 2016, the villagers passed a Gram Sabha (village general body) resolution banning any non-traditional use of the plateau land. About 500 villagers were present during the passing of the resolution which cited that these plateaus are "inalienable agricultural resources" that need to be conserved "for future generations, especially in view of the impending threat of climate change and its impact on monsoons and production of food" and resolved that "no real estate or other construction projects will be allowed at any cost" . In November 2016, a special gram sabha was called to take a vote on the IIT. Under armed police presence, around 2000 villagers gathered, the largest turnout in its history . State government and IIT officials answered villagers questions but could not convince the agitators. Before a vote could be conducted the sabha was abruptly adjourned by the Sarpanch, the elected chief of the panchayat, who is in favour of the project and also a member of the Comunidade. A commotion followed the adjournment and several villagers tried blockading the Sarpanch’s vehicle from leaving the premises. The Sarpanch later filed a police complaint against eight villagers on charges of rioting, wrongful restraint and assault. The land is yet to be granted to the IIT. Project Details The project is the construction of a 318 acres of infrastructure for the new campus of the Indian Institute of Technology, the premier autonomous public institutes for higher learning in the country. The approval for the construction of the institute in Goa was given in 2014, and the site was selected in 2016 by the Ministry of Human Resource Development. Why? Explain briefly. There is uncertainty about whether the resolution of the gram sabha has any standing. The government is desperate to allocate land for the construction of the campus. The village sarpanch, who is in favor of the project claims that the resolution wouldn't matter since IIT is a national project and it is not yet clear whether the gram sabha has any legal mandate to have a say on it. 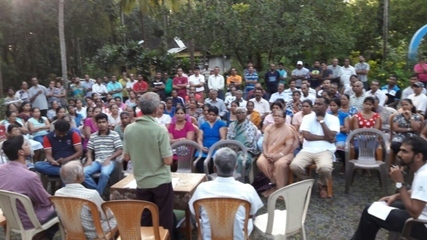 Villagers cite climate change as one of the reasons to prevent construction in the plateaus of south Goa.